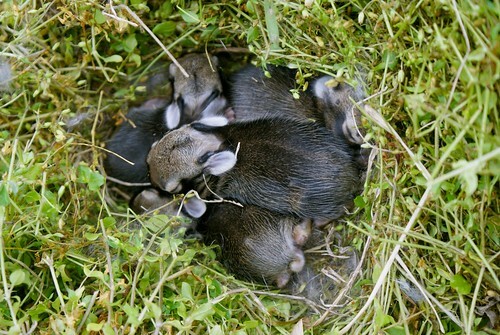 jimthompson.org » Blog Archive » Baby Bunnies! Wendy discovered a “nest” (we’re not sure what the real word is) of baby bunnies in the back yard after we mowed for the first time this year. Fortunately, their little nest is well down into the turf because we mowed right over them. 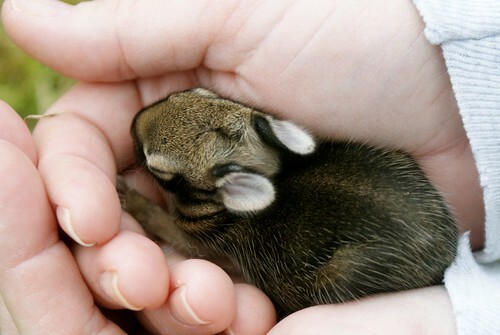 This entry was posted on Tuesday, March 8th, 2011 at 9:06 pm	and is filed under Critters. You can follow any responses to this entry through the RSS 2.0 feed. Both comments and pings are currently closed.